Here is a way to make an outstanding product launch without overhyping. Too many products are overhyped these days. First, 2016 was a year of VR, then Blockchain saved the world from evil bankers in 2017, and eventually, in 2018 all the jobs were taken by Artificial Intelligence…you see where I’m heading. This product marketing paradigm got in the core of how modern companies function: overpromise, create demand, raise hype, then deliver half-baked product and add originally promised features in version 2.0 after 1.5 years. While the old-school way to sit and quietly work on a product for a year or two wasn’t that popular in recent years, a new success story of rapidly growing videogame suggests that tides are turning. 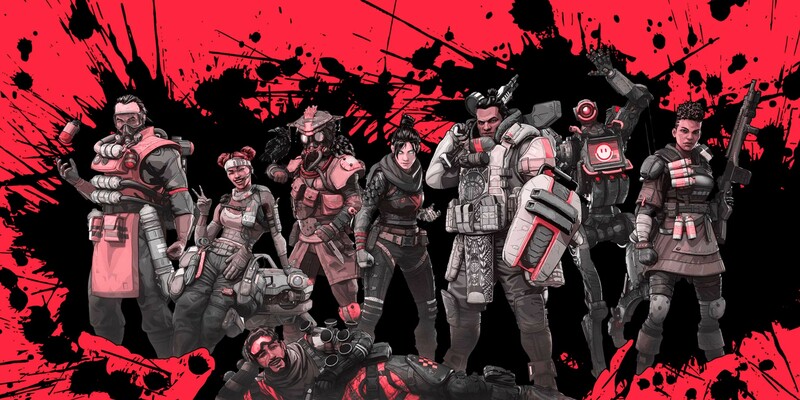 Apex Legends, a free-to-play Battle Royale game that no one heard about before its release, managed to get 1 million players during the first 8 hours of its existence, and 25 million after the first week. On Day One, the game was already available on three main gaming platforms, so everyone could download and try it. By player count, Apex Legends quickly overtook paid Battlefield 5 — flagship online shooter by the same publisher, EA. With a polished game and community support, Apex was instantly ready for esports tournaments with $200K in prizes. Although the game makes money in a classic way by offering loot boxes and Battle Pass, developers accounted for industry feedback. The odds of loot from the boxes are now clearly communicated, while fancy clothes have an even lower impact on the gameplay. With unprecedented quality, Apex hit the bullseye between realistic PUBG and cartoony Fortnite. You can’t argue with that since audience from both games, as well as people, who yet resisted to play Battle Royale genre, are now flooding the servers. What made Fortnite a special place — socialization was multiplied by Apex. While in Fortnite gamers play both solo and in a squad, in Apex, a squad is the only option. Fortnite has shown the game development industry how to make money, and Apex is showing how studios should spend them — on the development of high-quality products. Since we agreed that it’s possible to successfully launch a high-quality product without hype, let’s look at all the variants available to product companies. Product launches in Tech generally can be divided into two approaches. Approach 1: you raise a ton of hype and release a product after a year, adding features in following years. Approach 2: you keep quiet, occasionally doing focus group tests and release a product after 2–3 years. Approach 1 is often less expensive in terms of development since it has short feedback loops, but problems arise when too high expectations of customers meet the disappointing reality of the unfinished product. Not so long ago, Magic Leap got into such a situation when beautiful CGI trailers set customer expectations too high, and tech demo from summer 2018 sent them right to the rock bottom. Good example, on the other hand, might be Pebble which got a lot of coverage during its Kickstarter campaign, and although delayed by a few months, it delivered above and beyond customer expectations. Approach 2, although costly, allows companies to maintain the brand and to satisfy user expectations. Bad example of the second approach is any chatting app from Google released in the last 10 years. Or, much more dramatic, thousands of startups that got shut down without getting first 100 customers because they spent months “sitting in the basement”, developing important features for the product that had zero demand. And a good example is Apex. It appears you can work in the basement (or luxury office) for 2 years without telling anyone; design every possible feature user might need and only then release the product. This approach is not without flaws, but the launch of Apex Legends proves that it does pay off. What makes the case of Apex really peculiar, is that before its release, literally, nobody knew about the product. That was the strategy of game designers from Respawn Entertainment. The studio wanted to stand out with quality, but the soft launch was a way to see if people actually like the product. “Quality” and “see what people like” sound self-contradicting? Well, it shouldn’t. Tens of books on Scrum and game-development business taught us that it’s okay to release raw product. Luckily, the anger of users from different sectors is already making developers to take a bite of the reality sandwich. Respawn Entertainment was developing the game for two years, went 100% against classic marketing guideline of its parent company and succeeded. Was is it luck of Apex Legends? It could be. But also, it could be a readiness to take a calculated risk, eagerness to listen to the audience and willingness to set impeccable quality standards. Micromobility specialist. Areas of focus: Business Strategy, Product Management, Operations, Urban Planning.